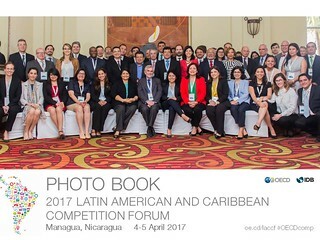 The 15th meeting of the Latin American Competition Forum took place in Managua, Nicaragua on 4-5 April 2017. It was hosted by Nicaragua's Competition Authority, PROCOMPETENCIA. Competition authorities typically impose fines on companies for participating in a cartel. Sometimes they are criticised for setting large fines when the actual harm from the cartel is very low. To address this concern, some competition authorities are required also to calculate estimated harm from cartels, as a criterion for setting the fine, which builds on the economic effect of the conduct and not on a predefines formula based on turnovers. A major question then becomes whether fines should be more related to a formula based on affected revenues or whether fines should at least be pre-conditioned or built up from estimates of either harm to consumers or illegitimate profits derived by cartel participants. The roundtable tried to identify and discuss techniques for estimating harm or illegitimate benefits from cartels. When faced with a notified merger, competition authorities need to be able to assess any potential anti-competition effects, the magnitude of these effects and their relationship to the potential benefits that the merger could produce. Merger control raises complex challenges related to the legal standard applied by agencies, to the economic tools they need to master to predict the effects of the transactions and to the remedies– behavioural, structural or a combination of both – they need to devise in case of conditional clearances. A number of jurisdictions in the region have recently adopted, or are in the process of adopting a new merger control system; others have amended their regimes to improve their ability to catch, review and remedy potentially anti-competitive transactions. This three part session discussed i) recent developments in the Latin American and Caribbean region on merger control; ii) factors to take into account when considering structural and/or behavioural remedies; iii) and, agency decision making in prohibitions and conditional clearances. Competition agencies face a number of sector specific challenges in financial markets. Policy considerations such as market stability and consumer protection are often important for governments and effective co-operation with sector regulators and central banks is frequently required when advocating for policy solutions that take into account efficiency concerns in addition to these other objectives. This session discussed agencies' co-operation with regulators and central banks, while offering an opportunity for agencies to share their experiences and the challenges they have faced when conducting studies of financial markets.